The last Australian seafarers to carry iron ore for BHP and BlueScope — work that was undertaken for more than a century — returned home today after completing their final voyage to Dandong, China. Six crew members of the MV Lowlands Brilliance arrived at Sydney Airport this morning and were meet by MUA Assistant National Secretary Warren Smith, ALP Vice President Mich-Elle Myers, and NSW ALP Deputy Leader Penny Sharpe. 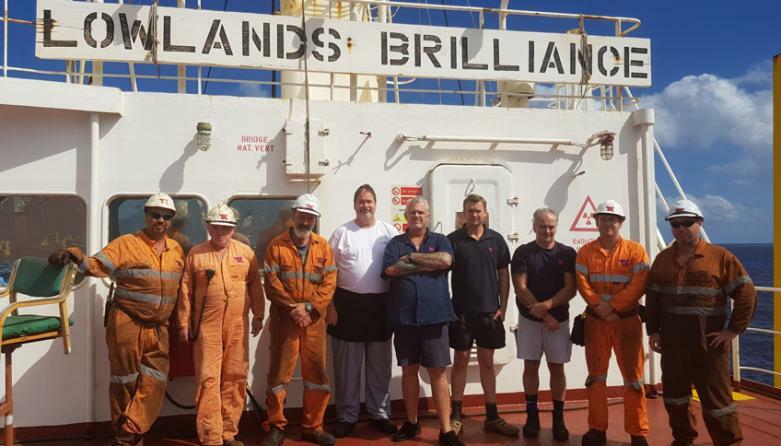 The crew of the other Australian bulk carrier contracted by BHP and BlueScope, the MV Mariloula, returned to Australia last week. “The Liberal-National Coalition has spent the last five years in government actively undermining what is left of Australia’s shipping industry and now wants to make it even easier for multinational companies to replace Australian seafarers with exploited labour.